Who Are Messianic Jews? Which Messianic Websites Do I Recommend? 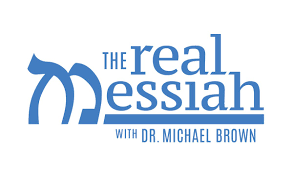 Messianic Jews are Jews who believe that Yeshua (Jesus) is the Messiah of Israel and who continue to live as Jews as a matter of covenant responsibility. Messianic Jews represent the rich tapestry of the Jewish world and come from all branches of Judaism—including Orthodox, Conservative, Reform, Reconstructionist, Renewal—and the various Jewish subcultures of the world, such as Ashkenazi, Sephardic, Ethiopian and Asian. Messianic Jews are increasingly making aliyah to Israel, and the center of the global movement is slowly shifting to the Land. Among the hundreds of thousands of Jews in churches, more and more are connecting to the Messianic Jewish movement and finding in it a way to convey Jewish heritage to their children. In addition, there are now third- and fourth-generation Messianic Jews being raised in the Messianic Jewish community. Finally, a growing number of intermarrieds (i.e. Jews married to Gentiles) are embracing Messianic Judaism as an option for their families. Given that one out of every two American Jews intermarries, the Messianic Jewish community in North America is poised to grow exponentially in the years ahead as more and more blended families find in Messianic Judaism a solution to the intermarriage dilemma. The purpose of this page is to recommend Messianic Jewish websites on the Internet that are notable and representative of the mainstream Messianic Jewish community. Also listed are trusted sites where Jewish people share their stories of how they met the Messiah. For more information about Messianic Jews, see the Books page.